LIVESTOCK AUCTION: Every Monday at 2:00 pm. Livestock, hay and straw can be left on Sundays between 9:00 a.m. and 6:30 pm with your name and full mailing address if you are unable to deliver it for the auction on Monday. Items may be brought in on the Monday of the sale between 8:00 am and sale time. 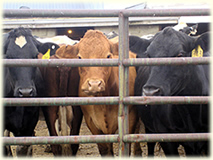 Livestock is unloaded and consigned at either the east side of the auction barn which has back-up docks or on the west side of the auction barn which is a pull-through dock. Cattle must have EID ear tags when they are brought in. 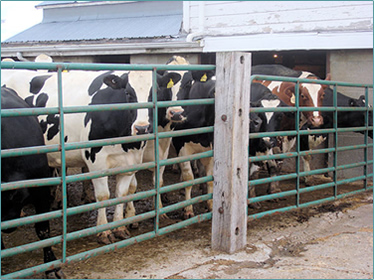 Electronic EID tags are required by the State of Michigan to market all Bovine animals. If your cattle or calves do not have the tags in their ears and/or you do not have tags, we can sell you tags for $4.00 each and $4.00 each to run them through our head chute and install them. Checks will be issued within minutes of your item sales. If you would like to bid on items during the auction, first visit the office and obtain a number. The same number can be used each time you buy and sell. After you bid on and purchase an item, you may pay in the office with cash or a negotiable check. Trucking is available for an additional fee. We are not responsible for livestock, items, or accidents after sale. 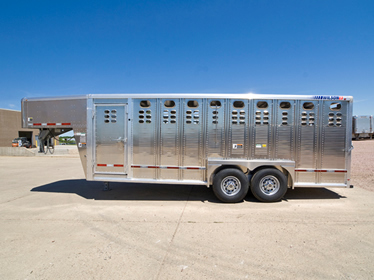 We offer the best in new trailers and carry a large variety of trailer parts for many different types of trailers. Held the last Saturday of March and September each year at 9:00 a.m.
Farm machinery consignment auctions are held twice a year in March and September. Consignments of any farm machinery and farm related items, lawnmowers & lawn equipment and cars & trucks with titles will be accepted. Consignments are accepted the Saturday before the auction from 9:00 a.m. to 5:00 p.m. and the week of the auction from Tuesday through Friday, 9:00 a.m. to 5:00 p.m. Stop in the office to consign your items. call us at (517) 536-4201, or simply stop by. We would love to hear from you! Copyright © 2016 - Last Modified: January 08, 2016. All rights reserved.